cosmetic surgery or reconstructive plastic surgery. The goal of cosmetic surgery is to improve the physical appearance of a person whilst reconstructive plastic surgery is done to improve or repair problems by surgical intervention, but whilst reconstructive plastic surgery may also entail an element of enhancing appearance, it is not its intended as the primary purpose. Reconstructive plastic surgery may also be known simply as reconstructive surgery. In many places worldwide the meaning of the two terms may differ slightly but generally cosmetic surgery is completely separated from plastic surgery. The term cosmetic surgery is generally referred to as non-essential elective surgery that a patient has decides to have as a means of improving their appearance or repairing the effects of ageing, whilst plastic surgery is the surgery essentially referred to as being applied in cases to improve or repair a persons appearance caused by illness or injury. According to some experts in the field, cosmetic surgery is not for everyone. There are many things which can happen in a patient’s life which potentially may influence their decision to elect for cosmetic surgery. In general surgeons from the Western World will not carry out cosmetic surgery until the patient has undergone some counseling, and has been given time or a cooling off period to consider the consequences of the surgery very carefully before being accepted. The reasoning for the need for time to consider your options is that cosmetic surgery results are generally permanent, so it is essential that each and every patient is fully aware of this fact before being accepted and going through the procedure. This procedure is usually performed by a cosmetic surgeon and its primary function is to reshape and firm up the abdomen. The aim of a tummy tuck is to remove excess fat and sagging skin from the middle and lower abdomen areas and to tighten the outer layers of skin and muscle of the abdominal wall to remove the sagging skin. This procedure is chosen by people who may have lost a lot of weight following an illness, maybe had some weight loss surgery, or may have followed a strict diet and exercise routine or the most common being after childbirth where they may have then been left with sagging skin as a result. It is essential that the cosmetic surgeon has identified any malnutrition in patients prior to surgery because when malnutrition has been identified prior to undertaking surgery, especially in cases of rapid and significant weight loss, as it has to be corrected beforehand because it can effect the results of the surgery. Once any malnutrition effect has been corrected the risk for problems during and after surgical complications are reduced dramatically and much better rejuvenation of wounds and scar tissue occurs thereafter. In this procedure is usually performed by a Plastic Surgeon, the aim of the surgery is to reshapes the nose of the patient. This is performed by an otolaryngologist plastic surgeon (surgeon for the head, neck the ear/nose) or a maxillofacial surgeon. This procedure aims to improve nose appearance and also its function. The patient may have problems with breathing, had an accident in the past which needs repairing, such as a rugby player or boxer may have sustained some nose injury, or simply to remove or reduce a bump on the bridge of the nose. Most Plastic surgeons would recommend that patients should at least be 15 years old (boys should be older) before undertaking this type of plastic surgery. There are also instances when rhinoplasty may be performed in conjunction with a facelift. These is a procedures which is performed generally by a Cosmetic Surgeon and is meant for the removal of wrinkles by means of surgery. The aims is to improve a patient’s facial appearance by making him/her look younger. The cosmetic surgeon will remove any excess facial skin and generally will not need to remove or tighten any underlying tissues as this is normally still intact and tight. In the case of chin lifts the cosmetic surgeon re-drapes the skin on the face and/or neck of the patient by removing access skin and layers of fat which may have accumulated under the chin. There are several methods of performing face lifts, but the most common one is to make a series of incisions around the front part of the ear that extends to the hairline and goes around the base of the ear and behind it. Then he would use a scalpel or surgical scissors to separate the outer layer of skin from the deeper tissue that goes over the neck and cheeks and forehead. The surgeon will then remove any access deeper tissues and tightened that in place with sutures or stitches. Then the outer layer of skin is re-draped and any surplus skin is removed. Finally, the surgeon sutures or staples everything in to place. Many women choose to have their breasts enlarged or reshaped in order to satisfy the desire for a more desirable bust line. Their breasts may not have developed to a size that meets their expectations, or one breast may be significantly smaller than the other. They may have been happy with your breasts in the past but feel that they look different now. Often, after weight loss, childbirth or as a result of aging, the breasts lose volume and their shape changes. With modern technology it possible to dramatically improve the shape and feel of the Breast to meet with your desire and expectations. Most people considering to have liposuction have more than likely failed to lose unwanted and fat even after following the strictest diet and exercise regime but just can’t shift stubborn fat or tackle an uneven body shape. Depending on the area and amount of body fat to be removed, liposculpture as it is sometimes called, can help to even out your body proportions or slim a particular area of the body. Liposuction normally takes between one and three hours depending very much on the amount of fat which is going to be removed and where is it being removed from.. Surgical liposuction is quite often carried out under local anaesthetic for smaller areas, but it for most people it will require a general anaesthetic. The surgeon injects a saline solution into the fatty area to be treated which has the effect of breaking up the fat. The surgeon then inserts a thin metal tube, called a cannula, into the area to be treated. The fat is then sucked out via the cannula using a vacuum pump or a syringe is used for liposculpture which normally would be done in smaller or areas or areas where greater care is needed. The tube may need to be inserted a few more times to remove all the fat. The small incisions made often do not require any stitches so will heal by themselves and be unnoticeable over time. Here at Plastic Surgeon France, we provide the best cosmetic and plastic surgery price for operations in France and can put a package together which will meet your cosmetic surgery needs. Our Cosmetic Surgeon is highly skilled, qualified and innovative. Our Registered Clinics or Hospitals in France provide the highest standards of surgery and care. Stage one: Finding a Cosmetic Surgeon. Discover a trustworthy Cosmetic Surgeon who is a recognised expert in the type of Plastic Surgery you are considering. This really is the most obvious but it is actually the most vital step. If you falter at this stage of the process you may well finish up getting the whole procedure wrong or worse still having to have remedial surgery later. Ideally, it is best to consult your GP initially to make sure that you are fit and healthy enough to undertake the type of cosmetic surgery you are considering. Search for a specialist cosmetic surgeon on the internet who has a good reputation and contact them to make initial inquiries. At this stage, you will usually be interviewed by a trained consultant who not be a surgeon but will have sufficient knowledge to be able to help you and to answer any questions you may have. This first contact will generally give you a good idea of the professionalism of the company or the Clinic. Ask the right questions to make certain that the expert you are considering has a good track record and has a minimum of ten years of experience too in the particular field you are interested in. The best companies will be able to offer you a list of previous clients who you will be able to speak to in person and who have previously had the type of surgery you are considering before you are committed to anything. It is the Policy of Plastic Surgeon France to ensure that you are given every opportunity to speak to past patients prior to booking any Surgery because we are confident that our results over time are our best recommendation. Once you are happy with the dialogue you have had with your pre-surgery coordinator, and you have spoken to previous clients, then is the time to request your booking date. Your appointed coordinator will be able to assist you here and give you some options, taking in to account your personal circumstances, making arrangements for the time you may need to take off work or to fit in around your everyday life commitments. You must also remember that with many cosmetic surgery procedures there could be some recovery time to take into account following your surgery. At this stage, you may also be required to pay for your plastic surgery. There are a wide range plastic surgery prices depending of course on your choice, and example prices start from as little £2750 for Liposuction. The reason why you will be asked to pay well in advance is that arrangements have to be made well in advance to book the operating theatre, to book the consultation with the Surgeon and the anaesthetics who are all extremely busy people who have to work around hectic surgery schedules. Also, arrangements may have to be made at Hotels before or after surgery close to the Clinic where you may need to stay for a few days before travelling home. Remember that in most cases you are booking a complete package of many elements which all need coordinating and pre-booking well in advance in accordance with the cosmetic procedures. Once you found your specialist and booked your cosmetic surgery dates you will be given full details of your appointment times and locations of where your initial consultation will take place. At this time your Surgeon will need to talk to you about factors like your general health, any medications you may be taking and any previous surgery or serious illnesses you may have had in the past. Once the surgeon is has discussed your general health, he will explain the benefits about the procedure you have chosen, any risks that may present themselves during or after the surgery, as well as other options he may feel, would be of benefit to you. Some options may involve additional costs so it is up to you at this stage whether you accept these options or not. Step four: Pre-Operative medical and Blood tests You will be required to give blood samples to check your blood count, haemoglobin or any other blood conditions that need to be taken in to account by the surgeon. You may also possibly need X-rays and some other pre-operative checks to check your blood pressure, cardiovascular tests or other tests which the surgeon or the anaesthetists requires prior to surgery. These tests done prior to surgery vary widely depending upon the type of remedial cosmetic surgery you have chosen but it is best to expect them rather be surprised when they are requested. Stage 5: Obtain the needed supplies. You will be advised prior to your surgery of any preparation or supplies you will need to purchase or obtain. Do not forget to get all the supplies from a pharmacy or recommended supplier prior to the surgery otherwise, it may not always be possible to get them at the time of your surgery. A few of the products you may need to have ready consist of a pair of rubber gloves, alcohol swabs, antibacterial soaps, sleeping mask, earplugs, ice packs, compression garments, loose or baggy clothes, body wipes, compression socks, or gel for managing any post-surgery bruises, and so on. Your coordinator will give you a list of supplies that you’ll need beforehand so that you have time to get them prepared prior to the procedure. Step six: Request someone to accompany you when going for your Surgery. Although most cosmetic surgery is not radical you are not simply going to have some cosmetic make up applied, you are going for surgery. Some procedures are more invasive than others and recovery times vary postoperative so you pay someone to assist you at that time. We strongly recommend that you choose your partner, someone out of your family or a very close friend who knows well and can rely on. Make sure the individual accompanying you are accountable and capable of carrying out the tasks. In many cases with Cosmetic Surgeon France, a companion is included in the price of the package and you will be advised prior to booking if this is included or your options should you choose to bring someone along privately. Step seven: Consider enough rest after cosmetic surgery. So now that the surgery is over and you are discharged after spending the required time at the hospital, you will need to take some time to recover. The length of the recovery time depends on the surgery you have had, but you still have to understand that obtaining the discharge certificate from the hospital does not imply that you are ready or able to resume your normal lifestyle. You will have to take sufficient time to rest to allow your wounds to heal and for your body to re-build up its strength again. Take the advice of your consultant who will be happy to advise you of likely timescales or what action to take should there be any problems postoperative. Following 24 to forty-eight hrs from the surgery, your surgeon will probably recommend some light physiotherapy which you need to start. He will probably also recommend that you need to go for a leisurely stroll every day to build up your muscles again gradually rather than any intensive training. Once your body has recovered fully you will able to head off and go back to work, or embark on your usual hectic lifestyle as a new person. Obviously, you need follow your surgeons recommended suggestions, but if you are not experiencing any complication following your cosmetic surgery then you will soon be back to normal and able to carry on your life as usual. Step 10: Take and publish post-operation photos. You will be so proud of your new self that you will want show off the results to your friends and family. In this new age taking selfies and posting them to social sites such as Facebook and Instagram is a much-accepted pastime, and we hope that you will happy enough with the results of your cosmetic surgery in France that you will feel able to recommend us to your friends and family. Weight loss is a beweldering matter. There are so many types of people and reading material telling you so many alternative things, it can be extremely hard to take them all. This document will try to lay down the required and necessary basics of weight loss in hopes revealing the essential facts that surround it. Exercise A simple to improve weight loss results is to realign subtle habits that will improve upon the distance of walking anyone has to do daily. Instead of asking someone else to get you something, it would be better for you to offer to get things for other people instead. That is one example that willimprove exercise levels and alsoimprove weight loss.In an effective weight-loss exercise routine, it can be most helpful to plan your workouts as soon in the day as you possibly can. Exercising first thing in the morning provides you with increased energy levels for the remainder of the day. It also helps your mood, because all day long you can be proud of already having completed your early morning workout. One of the most important elements in successful weight loss is daily exercise, yet it’s also one of the hardest things for people to stick too on a daily basis. But, it doesn’t have to be so difficult! All you need is just half an hour every day of cardiovascular activity to put you on the right track. You could even break it up into two 15 minute sessions. Become a member of a weight loss program, such as Weight Watchers. Groups such as these encourage you to weigh in regularly, and most people realise that this is very beneficial. Most people work harder to exercise and control caloric intake so that when they are weighed, all the members of the group will see that they have lost weight. Many people discover that this method to be successful. Nutrition Eating fewer calories and exercising more is definitely important if you desire to lose weight, but you should also be looking to maintain proper nutrition also. A healthy body burns off fat easier, and a great method to get nutrients is to make sure that you’re eating raw fruits and vegetables, not only cooked items. Celery sticks are one of the most delicious snacks that you can eat during the day. Create a low fat dip that you can use with your celery sticks for a nutritious alternative to some of the high fattening snacks available today. This will help in satisfying your hunger and improving your nutrition. A great tip to help you lose weight is to ensure that you’re purchasing the healthiest vegetables. The healthiest vegetables generally have the most saturated colour. If you’ve seen iceberg lettuce you’d know that it has a weak color which means it doesn’t provide much nutrition. Instead go with lettuce that’s the greenest. When you are attempting to lose weight, it helps to know as much as possible about portion sizes so you are more aware of what you’re eating. For example, a regular portion of meat is only the size of a deck of cards. Knowing portion sizes can make it easier to balance your diet to maintain maximum nutrition while taking fewer calories. Weight loss is most challenging because of the confusion surrounding it. It is similar to the old quote that too many cooks in the soup will spoil it. In order to re-focus sometimes it is best to trust yourself just to a few basics from one source, because it is difficult enough to remain on path with that by itself. If all else fails and you simply can not lose your target weight then you may decide to consider one of the many surgical options for weight loss surgery. 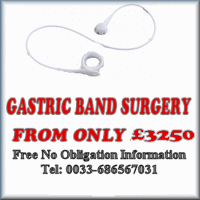 The three most popular methods are: Gastric Band Surgery, Gastric Bypass Surgery and Gastric sleeve surgery. Welcome to Plastic surgeon France. We will be posting interesting items and News items on these Pages for the Benefit of our visitors and as a reference point for those considering surgery abroad. With a huge choice of clinics offering expert treatment at affordable prices, an increasing number of people are choosing to have cosmetic surgery abroad. Popular procedures include treatment with Botox and dermal fillers, breast augmentation, nose jobs (rhinoplasty), tummy tucks (abdominoplasty), facelifts and eyelid surgery (blepharoplasty). Patients also have the additional benefit of being able to extend their visit into a relaxing and recuperative holiday. The Benefit of having Cosmetic Surgery Abroad? 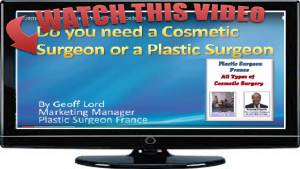 How Much is Liposuction Surgery in France? How Much is Breast Augmentation in France? How much Is a Tummy Tuck in France?